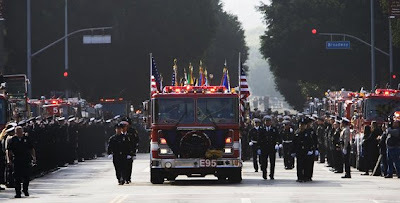 Thousands of Firefighters attended the funeral procession and services for fallen LAFD Firefighter Brent Lovrien. 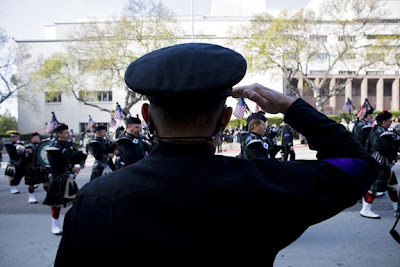 The procession marched from LA City Hall to the Our Queen Of Angels Cathedral. 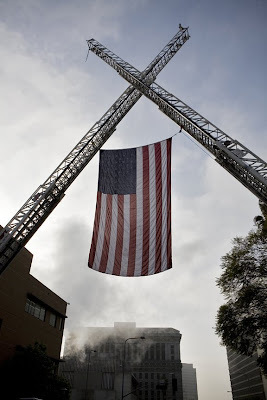 Firefighter Brent Lovrien was killed on duty last week while working an electrical explosion near LAX. Lovrien was a hazardous material specialist from station 95. 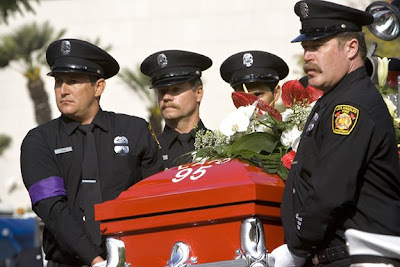 His station engine, number 95, carried Brent's bright fire engine red casket to the Cathedral passing many thousands of saluting Firefighters from all over the country. 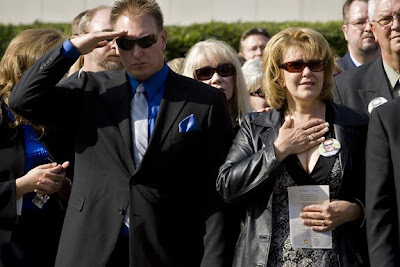 Brent will be buried at Rose Hills Memorial Park in Whittier.